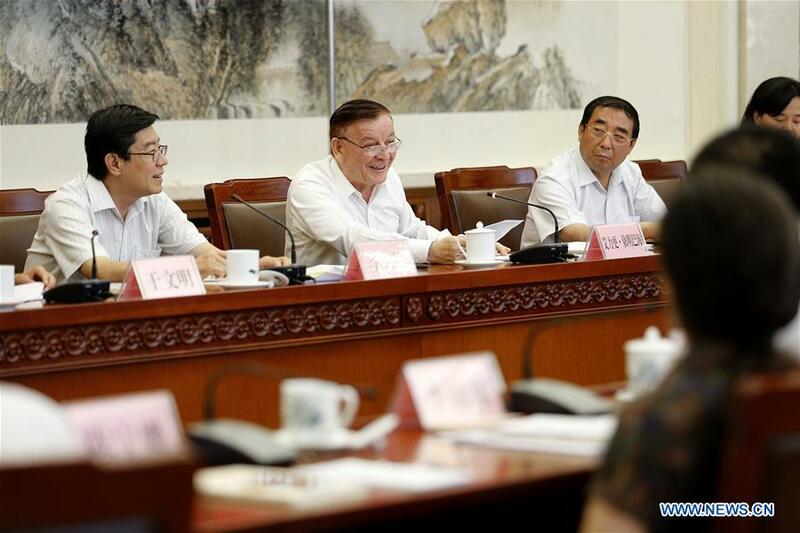 BEIJING, July 26 (Xinhua) -- China's top legislature, the National People's Congress (NPC) Standing Committee, plans to inspect the implementation of the Law on Traditional Chinese Medicine (TCM). Arken Imirbaki, vice chairman of the NPC Standing Committee, made the announcement on the first anniversary of the TCM law Thursday in Beijing. Imirbaki praised the efforts made by various departments and offices and related regulations and policies carried out during the past year, which have promoted the inheritance, innovation, and development of TCM and granted TCM a more prominent role in the building of the Healthy China initiative. The Law on TCM went into effect on July 1, 2017, to regulate and support the development of the industry. With a history of more than 2,000 years, TCM is seen by many as a national treasure in China for its unique theories and practices, such as herbal medicine, acupuncture, massage, and dietetics.